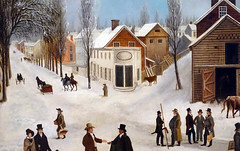 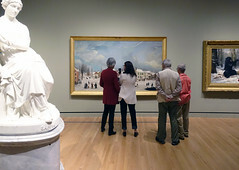 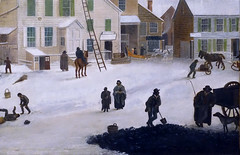 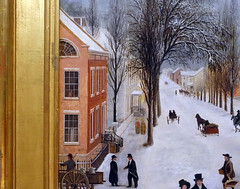 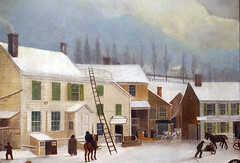 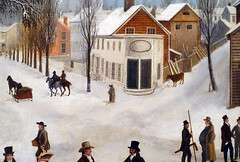 Francis Guy, Winter Scene in Brooklyn, 1820, oil on canvas, 147.3 x 260.2 cm (Crystal Bridges Museum of American Art). 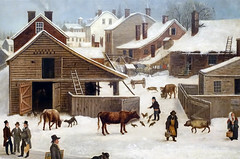 Speakers: Dr. Margaret C. Conrads and Dr. Beth Harris. 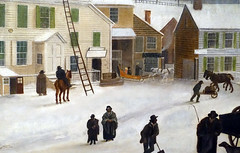 Cite this page as: Dr. Margaret C. Conrads and Dr. Beth Harris, "Francis Guy, Winter Scene in Brooklyn," in Smarthistory, February 20, 2016, accessed April 20, 2019, https://smarthistory.org/francis-guy-winter-scene-in-brooklyn/.